Quiet family living, helpful friendly staff, and personally they have been very forgiving and willing to work with me as I have health issues that interfere with my income at times. Best complex I've ever lived in. 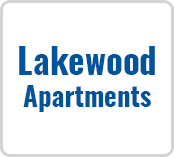 I have lived here for a year now and I have had ZERO issues, if you are looking for an affordable place to live with an awesome staff and maintenance team, Lakewood Apartments is the place you are looking for! Alicia is awesome! She is a hard worker and gets things done. These people work hard and deserve the recognition. This property is clean, well maintained, and always improving. I have always been treated with respect and Alicia has always had a concern for my needs, she deserves recognition! Thank you for being so awesome! Just moved here from Illinois and Alicia was amazing at working with me to make sure it was an easy and smooth process .